There was consensus at today's annual Christmas Lunch of the Institute of Advanced Motorists and friends. Road safety minister Mike Penning made an honest and passionate speech about ways to improve the driving of young people new to the roads. The UK Driving Test, he said, was no longer "fit for purpose", and Pass Plus was only reducing crashes by young drivers by 1%. What is needed is better training towards a more realistic test, and post-test continued education of young drivers in order to instill in them the basic skills, observation and defensive driving techniques to survive unscathed on our increasingly congested roads. He announced that learner drivers are to be allowed to have driving lessons on motorways in an attempt to cut the death toll among novice motorists. This change will come into force from next year. IAM chief executive Simon Best said: “This change will mean that properly supervised young drivers can learn how to drive on a motorway with somebody beside them. 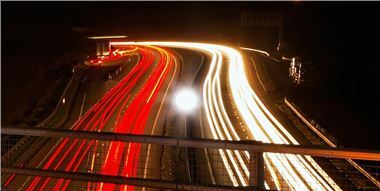 Motorways are, after all, our safest roads." The IAM presented its own rather worrying figures about young people’s attitudes to driver training.. According to the IAM’s latest report, "The fast and the curious", sixty-two per cent of young male novice drivers think they are more skilful than the average driver. Only 32 per cent of young women say the same. Which flies in the face of this year's EC ruling that young males and young females must be treated equally for insurance purposes. Young, novice drivers are the highest risk group on our roads, and male drivers between 17-29 are more than twice as likely to be killed or seriously injured as young female drivers. Thirty per cent of car occupant fatalities are drivers aged 17-24, or passengers of a driver aged 17-24. Yet this age group makes up only eight per cent of all driving licence holders. The report also highlights the fact that young drivers are much more likely to take post-test training if there are proper financial incentives. Reduced insurance premiums would encourage three-quarters of young novice drivers to consider further training. IAM chief executive Simon Best, speaking at the IAM’s annual lunch today, said: “Young male drivers suffer from a lethal combination of overconfidence and inexperience. They don’t need curfews and other restrictions on their driving; they need to practice and gain driving experience safely. “There are many paying thousands of pounds a year in insurance and killing themselves. The solution to this problem is to link driver training and insurance discounts.” But this training needs to be done early. Fewer miles driven since passing the practical driving test and fewer attempts to pass the practical driving test (more likely to be a first time passer) make drivers more likely to be positive about further training. Black-box telematics schemes as initiated by Co-operative Insurance and others were highly commended.